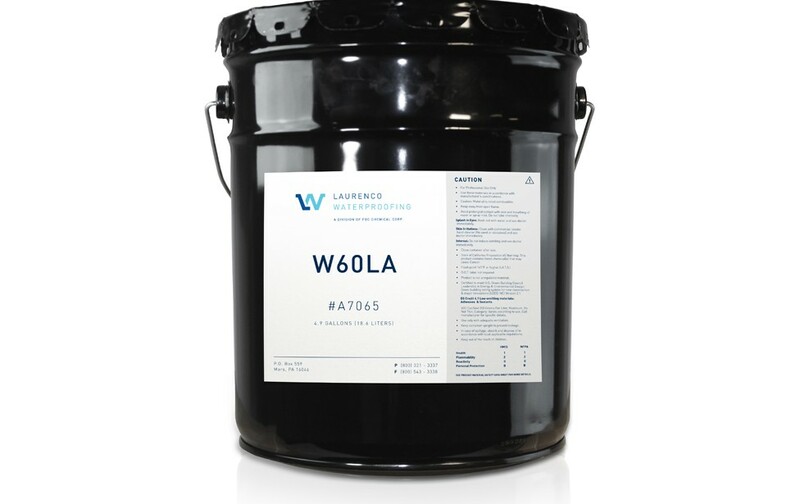 W60LA is a synthetic rubber modified adhesive formulated to produce a moisture retarder/barrier with excellent UV resistance. It is designed to smooth exposed exterior concrete surfaces without the need of a parging coat or a primer on most concrete masonry surfaces. W60LA can be brushed, rolled, or sprayed. Furthermore, it complies with even the strictest VOC regulations.